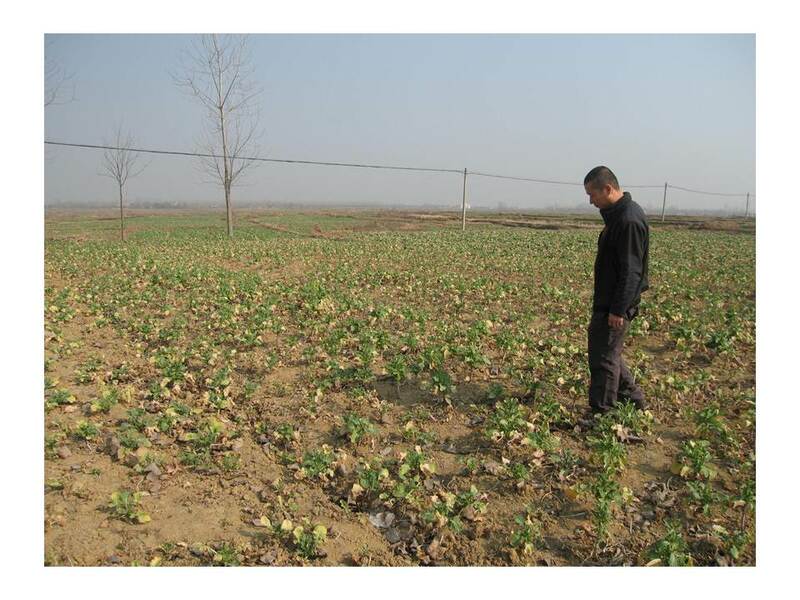 Through two photos, Weijing Wang - Country Programme Officer for China, illustrated two important reasons why weather index-based insurance is being used as a viable alternative to traditional multi-peril crop insurance in China. The insurance agent in the field, who after every perceived yield loss, has to travel 24-7 to visit every smallholder farm and assess the actual damage caused. 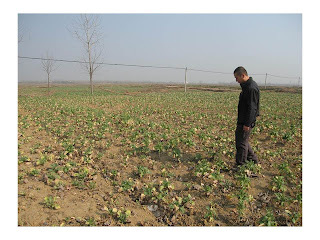 The farmer looking at his crops, who faces the dilemma of whether or not to invest extra money to improve production, for fear of losing his investment and more if bad weather strikes. Weather index-insurance eliminates these two risks. It responds to an objective parameter, such as rainfall or temperature, at a defined weather station during an agreed period of time. The parameters of the insurance contract are set to correlate as closely as possible with the damages suffered by the farmer. The insurance agent from the photo we saw doesn’t have to go around to each farm and assess the loss, as all farmers within a defined area receive pay-outs based on the same contract and measurement at the same station. This can reduce the transaction costs for the insurers and importantly the time it takes for the farmer to be compensated for their loss. The Weather Risk Management Facility – a joint initiative of IFAD and WFP - carried out the first weather index-based insurance pilot in China from 2008 to 2010. 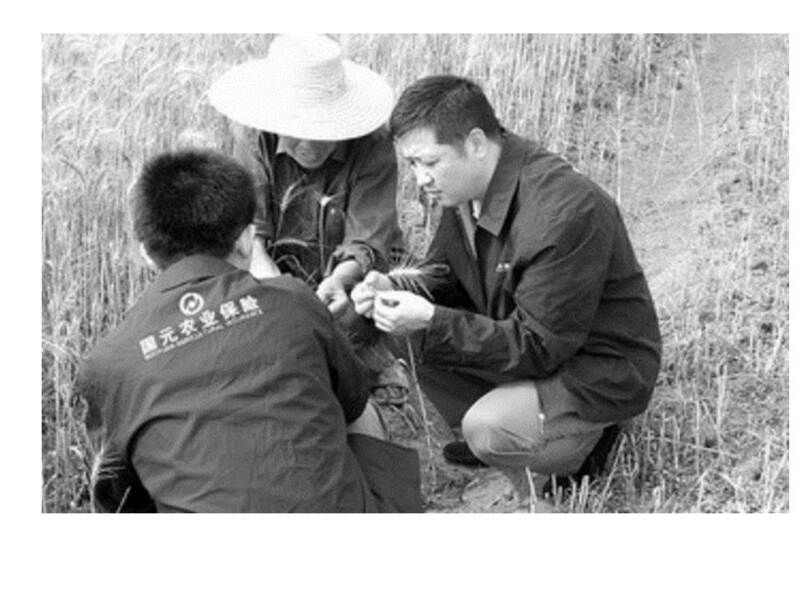 A large element of this pilot was building the technical capacities of the local stakeholders in weather index-based insurance, particularly Guoyuan Insurance Company who learnt how to calculate indexes and design contracts for this new product. A follow-up pilot was initiated by the Chinese government and Guoyuan Insurance Company. This time, building on what they had learnt from IFAD and WFP, they greatly expanded coverage – both in terms of number of people insured, and the geographical area. During 2011, there was low temperature and drought, enough to trigger a payout. The payout was fast, and whilst farmers could tap into this amount to recover their production, they were still waiting for the compensation from the additional multi-peril crop insurance which relies on in-field assessments. Responding to questions from the floor, Weijing explained that since that very first IFAD-WFP pilot, interest in weather index-based insurance in the country is growing. The government, insurance companies, and other donors are all seeing a future in weather index-based insurance for China. Most importantly, farmers are beginning to change their attitude too. They are now beginning to trust in this type of financial product more than we saw in the initial pilot, and interestingly, they are becoming more aware of the weather risk facing them and seeking out new online information channels on how to manage it. Whilst not every area, country, or weather pattern may be suited to weather index-based insurance, the benefits are already evident in China, and the future looks sunny!